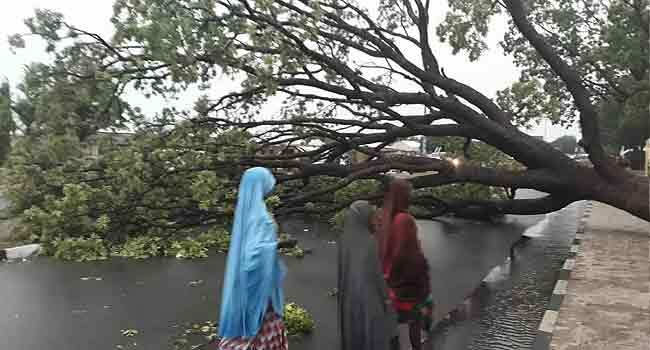 The windstorm disrupts traffic as trees and mast pull down in Bauchi, North East Nigeria. 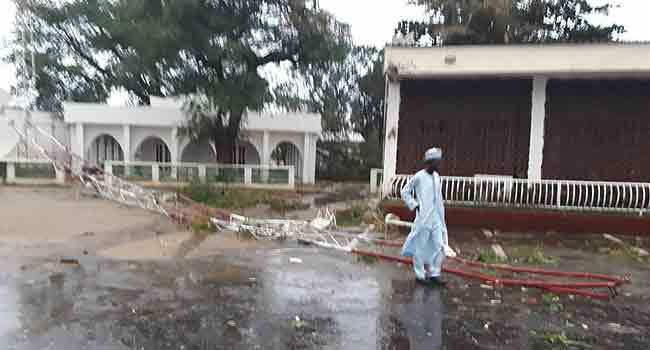 At least two persons have been confirmed killed and several others injured in a heavy windstorm in Bauchi State in Northeast Nigeria. 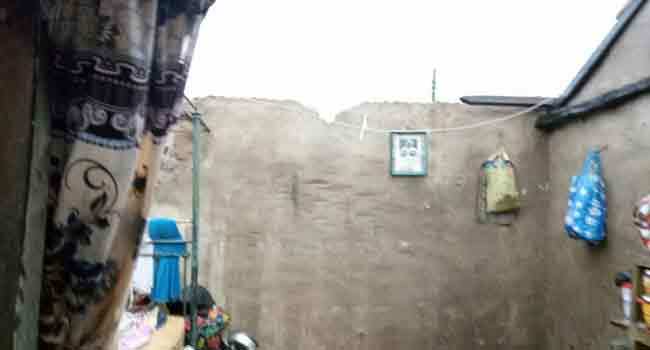 The windstorm, which started at about 4 pm on Saturday and lasted for over an hour, damaged several houses – blowing off roofs and destroying fences in Bauchi metropolis and beyond. 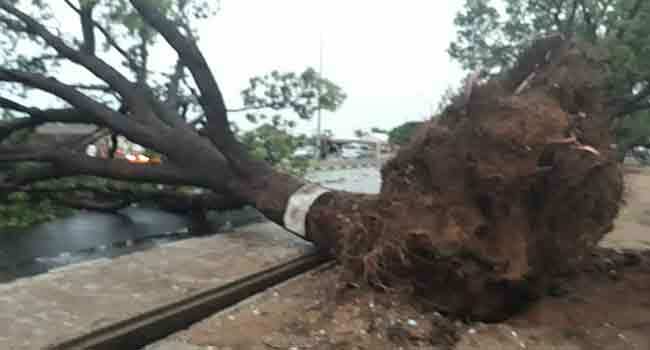 Channels Television learnt that several others may have been injured as telecommunication masts and trees were also felled by the storm. 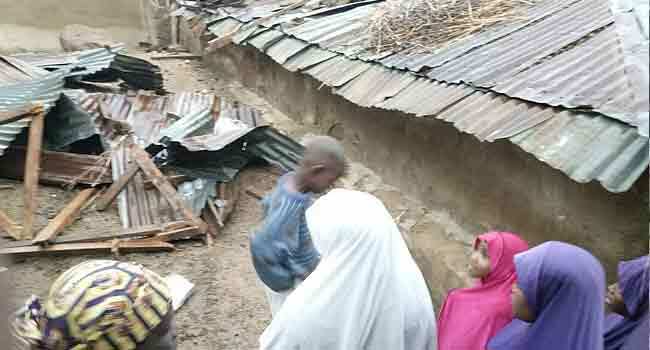 One of the affected houses collapsed on a pregnant woman who was pulled out and rushed to a hospital. 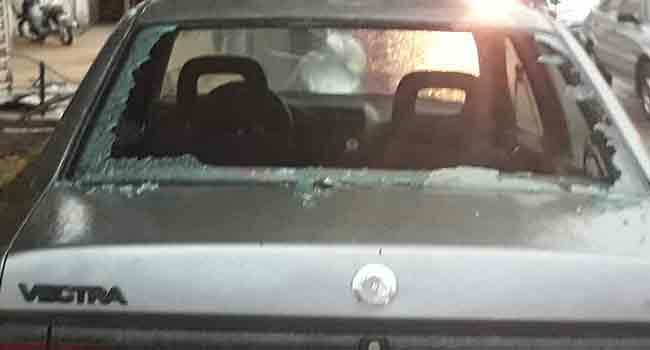 The two persons killed are one male aged about 30, and an eight-year-old girl. Full details about the damage caused by the windstorm and the identities of those who died or were injured are still sketchy. Governor Mohammed Abubakar has directed the Bauchi State Emergency Management Agency to assess the level of damage and aid those affected. This latest natural disaster is coming less than 48 hours after windstorm wreaked havoc in 11 villages in Alkaleri Local Government Area of the state, killing three people and destroying properties.